Allow me to help you take it to the next level. Contact me Today. Empower the Shift partners with clients in a thought-provoking and creative process. This process inspires the clients to maximize their personal and professional potential. With experience across numerous sectors, Kimberly Jones is a skilled and insightful Business Strategist and Life Coach leading women and youth to their optimal potential. Born in Southern California, Kim was a teen mother who endured struggles and distractions, and at times an unstable home. Oftentimes, she was obligated to fend for herself. As a result, she was forced to work basic 9 to 5 minimum wage jobs until she found the courage to uplift and set her goals on becoming successful. Kim decided to sacrifice her guaranteed salary position and challenge herself in the world of entrepreneurship. She leveraged entrepreneurship to stabilize her family and open doors to greater opportunity. 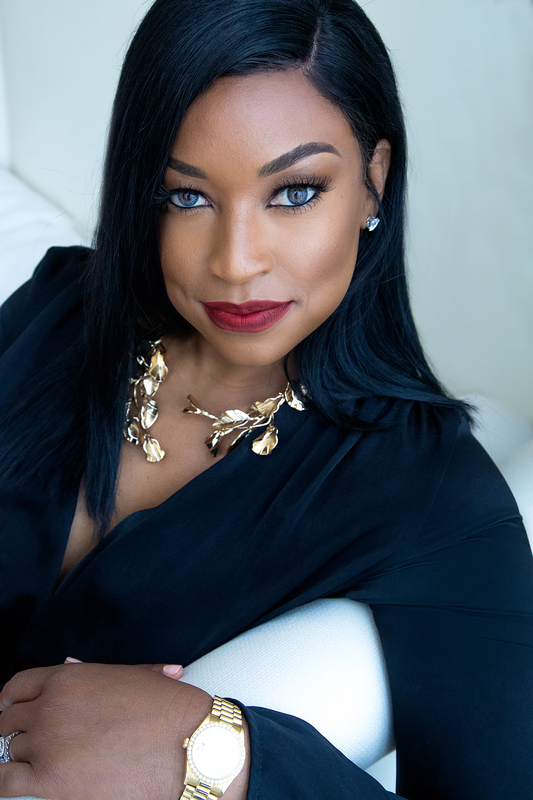 Beginning in transportation logistics, then branching into real estate and entertainment, Kim has co-founded several businesses. She is President of 5th Amendment Entertainment, VP of Blood Money Entertainment, and Founder of Spiritually Provoked. Kim attributes her success to her spiritual grounding, particularly as she shines her light in dark places.